7 things to help boost your energy! Your body loves Routine! Try to go to bed, wake up and eat at the same time each day. We are elements of this earth and are not only susceptible, but need to harmonize with the rhythms of nature. Create something. It engages your mind and your soul. Let your food be your medicine! Eat lots of leafy greens and colourful vegetables, a few fruits (berries are superb), responsibly raised meat & fish, variety of nuts, seeds, whole grains and healthy fats like olive oil, coconut oil, flax seed oil & avocados. Optimize your energy conversion: digestion, metabolism, circulation and other systems work to ensure proper nutrient absorption. Efficient transformation of these raw materials into energy means more energy for you. Exercise regularly. You don’t have to move mountains, just your body. Everyday. Multiple times a day. Personalize your treatment plan. Understanding your story, timeline and individual physiology can help create a treatment plan that maximizes your energy and your health. Encourage the Heart Research has shown that when we think about experiences that are warm and loving and positive, it changes our physiology for the better. While this does not constitute individual medical advice, general guidelines for better health can certainly be engaged with your personalized treatment plan. What is stress really all about? Dr. Laura speaks on the phases, feeling and ways to combat stress. According to Hans Seyle’s Generalized Adaptation Syndrome, there are 3 stages of the body’s natural built-in response to demands made on an individual. Resistance stage, which is the body adapting well and actually strengthening to a new level of stress. Exhaustion stage, when the body no longer has the means to continually adapt and strengthen, but rather breaks down in response as a result of the depletion in body. As you can see, stress is normal part of living and what makes us stronger is a challenge to our system. It is important that periods of intense activity or stress on the body need to be followed by periods of intense rest. If the stress persists without proper rest, then dis-regulation and illness may develop. Long term stress usually manifests as anxiety. Symptoms of anxiety include mental, emotional, physical and cognitive. Dr. Laura M. Brown, ND presents Simplifying Stress at Goodness Me! in Guelph on Tuesday, August 30. Register Here. This session is for those curious about how we respond, adapt and can be overwhelmed by stress. Dr. Laura will share with you ways to clinically evaluate the state of stress, possible remedies to consider or avoid at different stages of stress and how to prevent future impacts. Hoffmann, D. (2003) Medical Herbalism. The science and practice of herbal medicine. Healing Arts Press. Vermont. Sarris J., Wardle. J. (2014) Clinical Naturopathy 2e. An evidence based guide to practice. Elsevier. Australia. With all the priorities and pressures of everyday life, it feels impossible to prepare a meal that can be enjoyed under the enchanting light of magic hour. In fact, I’m generally pleased if I make the time to sit at the kitchen table to eat. Most often I scarf dinner while standing at the kitchen counter, thumbing through emails and apps on my phone. But it doesn’t have to be this way. Outdoor meals are normally reserved for big festive BBQs or romantic gestures, but you don’t need an excuse to make a meal and enjoy it in the warm summer air. 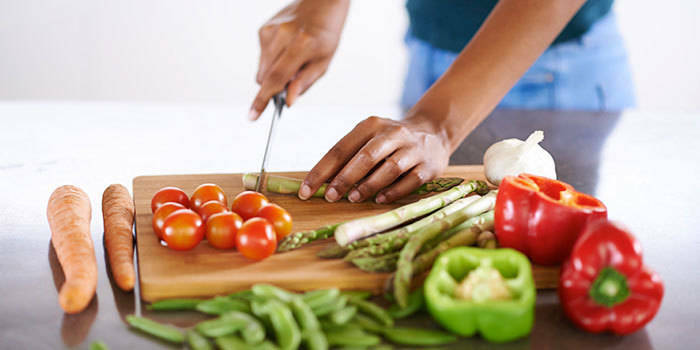 While we here at Beachbody focus a lot on making meal planning quicker and easier, we’re also all about balance. And sometimes that means enjoying a home-cooked meal with loved ones under the stars. With that in mind, here are three different three-course menus that are perfect for eating on the deck, on a picnic blanket, or on your balcony. Dust off the furniture, stock up on citronella candles, and bon appetit! If you’re going for a fun and casual evening that might involve kids, try this crowd-pleasing combo. The wings and pizza menu is also well-suited for football season, so keep this one in your back pocket for warm fall days. 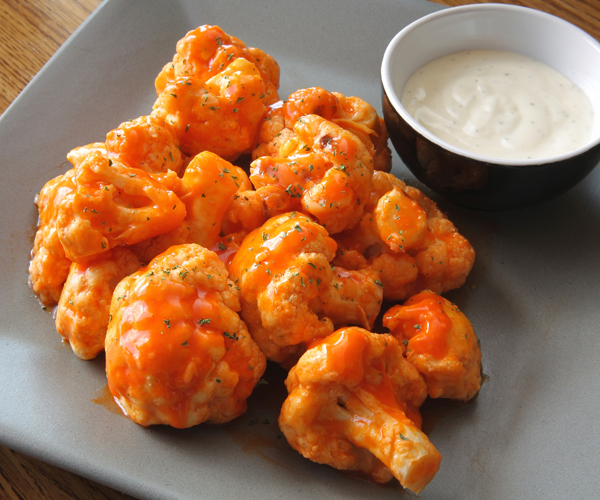 Bite-sized buffalo-flavored appetizers are a hit at any gathering, be it the classic chicken version or this healthier veggie-based approach. 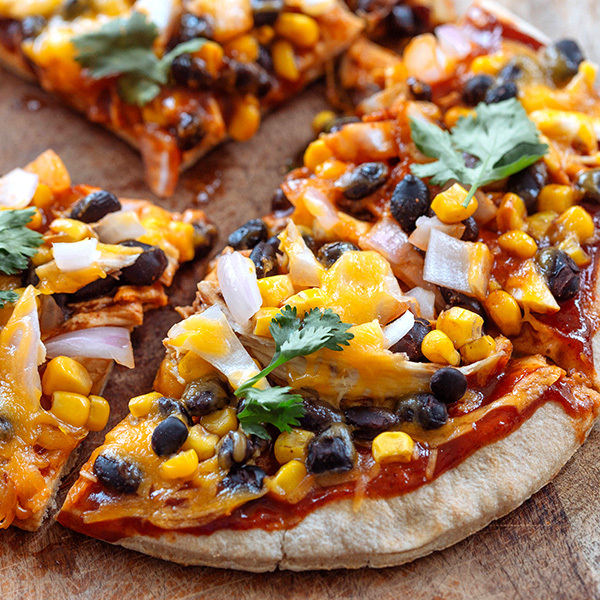 While everyone is munching on the buffalo cauliflower bites, pop these BBQ Chicken Flatbread Pizzas in the oven; they’ll come out hot and fresh in under 10 minutes. The spinach and avocado salad provides a fresh, crunchy counterpoint. 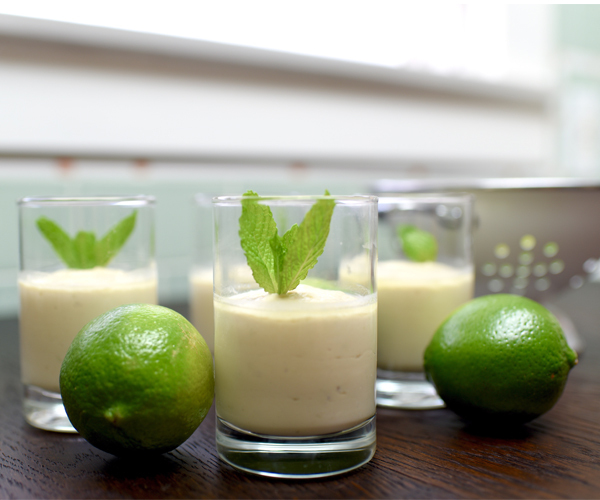 This make-ahead dessert is perfect for a warm summer night, given that it’s a no-bake recipe that’s best served chilled. My favorite part about these individual cheesecakes is you can get creative and serve them in fun things like mason jars, tea cups, wine glasses, or whatever you can come up with to make the final course a little more memorable. Pair it with your favorite wine, and travel to the shores of Mykonos without leaving your backyard. Kalamata olives bring briny life to every dish and awaken the palate. 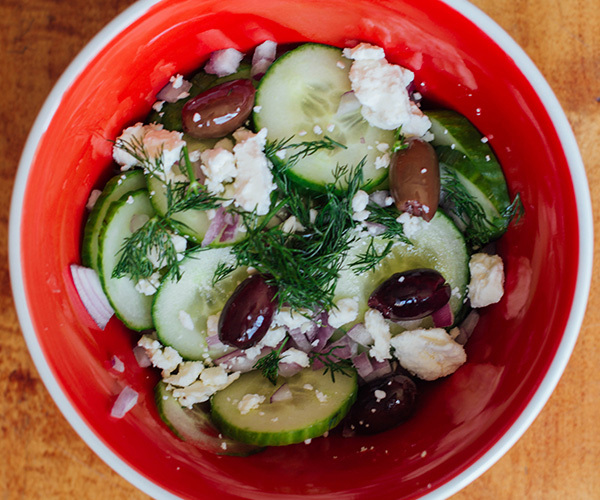 This five-ingredient salad is not only a cinch to throw together, but it will also set the stage for a Mediterranean summer feast full of fresh, bright flavors and feta. These burgers are not only lightened up with lean ground turkey, they’re also full of the bold flavors of garlic, sundried tomatoes, and fresh oregano. 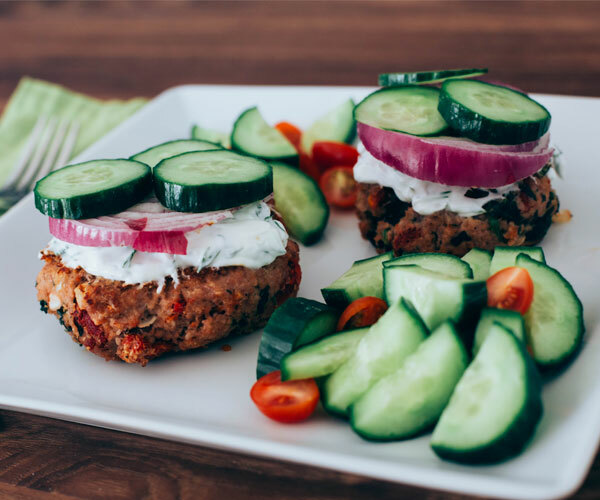 For a healthier alternative to French fries, pair them with zucchini fries (zucchini season is June – August) since the veggie is currently in season. 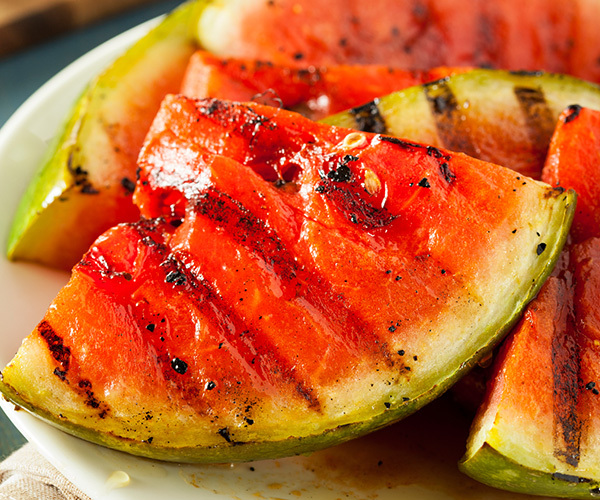 Three words: Next-level watermelon. Cooking it this way enhances its sweetness and adds a touch of smoky flavor. 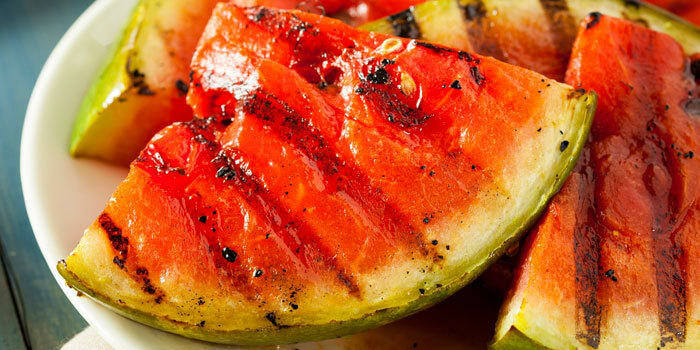 Not to be confused with the burger-and-hotdog vibe at your uncle’s backyard barbecue, this decadent summer dinner serves up vibrant colors and flavors that’ll give your guests the yummies all night — especially the dessert. It’ll require some prep the day before, but, trust me, it’ll be worth it. 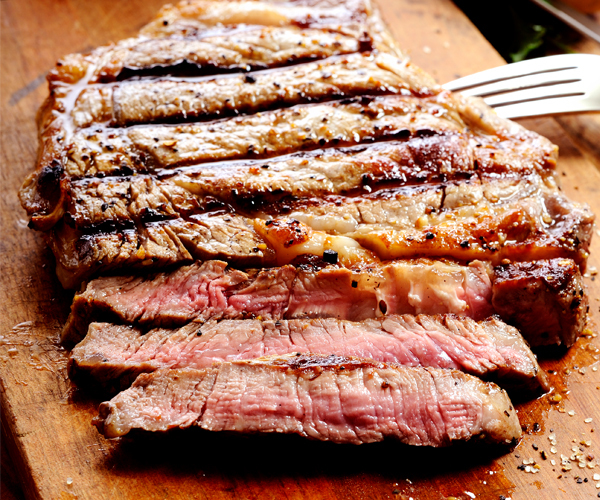 These two recipes take advantage of prime grilling weather. Just imagine tucking into this beautiful grilled steak and warm, naturally-buttery corn. And, if camping is your thing, these two recipes can be prepped ahead of time, placed in a cooler, and cooked over a campfire. 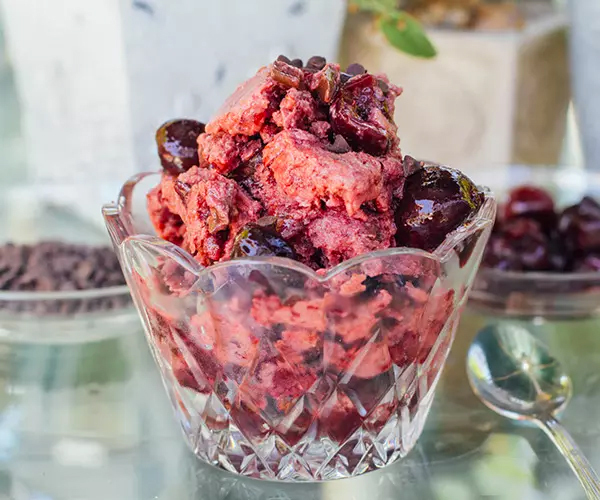 Ice cream is one of the best sweet treats on earth, and this recipe for Cherry Chocolate Chunk Ice Cream might seem like a decadent end to a meal, but it doesn’t have the added sugar or fat you usually expect. We won’t tell if you won’t. If we miss or get stuck at a point in our life, there is potential for emotional buildup that may present as sickness in the body. When a person is “stuck” at a certain level, a homeopathic remedy, acupuncture, a Chakra clearing, yoga exercises, focused breathing, or other therapeutic efforts may “lift” the person and help them better perceive and move on from their current situation. Whether we look at Erikson’s Stages of development, Scholten’s Homeopathic Table of Elements, Maslow’s Hierarchy, the Chinese Five Elements or the Chakra system, we can see the natural progression of development we embark on through our journey of life. Often, it is a combination of acupuncture, a Chakra clearing, yoga exercises, focused breathing, massage homeopathy or talk therapies that gets us on our way and eventually to the top of the mountain. What is most important is to enjoy some sights on the path along your journey. The common thread of our personal development is woven from ancient yogis, Chinese Medicine, psychologists and psychotherapists. We all need to have our basic needs of life met before we can develop an element of safety. We need to know who we are as individuals and how we belong into our society before we can further develop the area of our heart and be able to share it interdependently with others. It is when we can be comfortable with ourselves, we can then withstand the swell of the tide of outside influences. Keeping the mind steady and calm while the world swells around us, is the first stage of actualization. Once we have mastered the space of a calm and equitable mind, we can then practice the ability to let all the world go and connect with and allow our spiritual self to unfold. Balancing the “fight or flight” (sympathetic) and the “rest and digest” (parasympathetic) nervous systems helps gain access to this blissful balanced state of what Heart Math people call “coherence”. It is not only reserved for yogis, meditation artists, super-energetic or “smart” people. It is for us all to climb mountain, at our own pace, with our own challenges and with our own set of earthly and heavenly guides. The fact is we are all able to achieve this pinnacle of self-actualization, however we are all also susceptible to fall and crumble back down to the basic needs of life. We may actually experience many rises and falls over the course of a lifetime. In each rise and fall, it is like a breath in and out, so long as we live, our breath will rise and we will too again. Hopefully, overall, we are making steady progression up the mountain. Sometimes it takes intense focus in one area of our life, while the others lay dormant for some time. That is, we can invest heavily in school or career while putting family life or personal relationships on hold. If we excel strongly in one area of our life, without giving time for balance in others, we miss out on the cross-training type of personal development that we need in order to rise to our greatest potential. It is important to loop back and catch ourselves to keep a steady progress in all areas of our life. Sometimes we need the chance to develop one aspect of our being before we are ready and hold the wisdom to get on to the next. Wisdom is more precious than gold, as we learn from Soloman in the Book of Proverbs and if we do not learn from our mistakes and move forward, then this is the greatest crime. In Chinese Medicine the circles of life go on a 7 year cycle for women and an 8 year cycle for men. At age 7 the vitality of the young girl is vibrant, 14 she begins to menstruate and the governing and conception vessel are primed. Age 21, a woman’s essence peaks, she has reached her physical limit of growth and the wisdom teeth come in. Age 28 the tendons and bones of a woman are strongest and the hair flourishes. Age 35 the Yang channels weaken and the woman’s complexion withers and hair begins to fall. This progresses and the hair grays at age 42. Age 49 the conception and governing vessels are empty and the uterus closes and infertility sets in. This is a time now for more creativity and personal embarkment of growth as the energy is no longer needed to tend the womb. Menopause offers a later life fire that is more than just about hot flushes! For males, the Chinese Medicine 8 year cycle begins similarly with abundance of energy at age 8, mounting at age 16 when the sperm arrives and Yin and Yang are harmonized in the male making him capable of producing a child. At age 24, the male’s physical energy peaks and the wisdom teeth arrive. At age 32 his tendons and bones are strongest and by age 40 the hair begins to fall and teeth become loose. At 48 year old man’s Yang Qi is exhausted and his face darkens as his hair turns gray. At age 56 the male’s liver energy (testosterone) is weakened and tendons stiffen and the sperm dries up. At age 64, from the ancient Chinese circles of life, the hair and teeth are gone. Thai Qi, Qi Gong and Yoga and HeartMath incorporate breathing exercises that help increase the vitality and essence of our aging being. From the heart and mind of Dr. Laura M. Brown, ND. Dr. Laura offers personalize lifestyle coaching and professional means to help you Move Forward in Your Health. prophylactic application of sea water, mud, algae, sand and climate in general. No other skin disease responds to thalassotherapy as dramatically as psoriasis vulgaris. The Cyanobacterium aponinum algae can survive in the sulphur rich, hot spring water and is a dominating member of the Blue Lagoon’s microbial ecosystem. This algae stimulates the immune system to produce vast amounts of the immunosuppressive cytokine IL-10. IL-10 reduces chronic inflammatory response, down regulates TH1 and activates Th2. When compared to arsenical, bromic, iodic, radioactive, carbonic and silica-flourinated waters, sulphur waters have shown to be most effective in psoriasis, especially in combination with UVB. Bathing in geothermal seawater combined with NB-UVB therapy in psoriasis induces faster clinical and histological improvement, produces longer remission time and permits lower NB-UVB doses than UVB therapy alone. Typically a treatment at the Blue Lagoon Psoriatic Clinic is a bi-annual 3 week relaxing stay with combined bathing and UVB therapy and nutritional intervention. The Black Sea water has pH 8.33– 8.40 and is rich on mineral and organic substances and colloids such as chlorides, sodium, potassium, magnesium, sulfur, calcium and carbonates. The so called “ salt mantle” has keratolytic action and increases the skin hydration. In a study conducted in 1770 psoriatic patients who underwent a 28-day thalassotherapy, 30% of the patients achieved remission of the disease, and 61% of the patients were recorded with marked or moderate improvement. In another study, 69% of the patients achieved remission or marked improvement during a 20-day course of thalassotherapy combined with 5– 15-minute baths in the sea water per hour. Gudmundsdottir A, Omarsdottir S, Brynjolfsdottir A, Paulsen B, Olafsdottir E, Freysdottir. Exopolysaccharides from Cyanobacterium aponinum from the Blue Lagoon in Iceland increase IL-10 secretion by human dendritic cells and their ability to reduce the IL-17+RORγt+/IL-10+FoxP3+ ratio in CD4+ T cells. Immunol Lett. 2015 Feb;163(2):157-62. doi: 10.1016/j.imlet.2014.11.008. Epub 2014 Dec 9. Eysteinsdóttir J, Ólafsson J, Agnarsson B, Lúðvíksson B, Sigurgeirsson B. Psoriasis treatment: faster and long-standing results after bathing in geothermal seawater. A randomized trial of three UVB phototherapy regimens. Photodermatol Photoimmunol Photomed. 2014 Feb;30(1):25-34. doi: 10.1111/phpp.12090. Epub 2013 Dec 10. Grether-Beck S1, Mühlberg K, Brenden H, Felsner I, Brynjólfsdóttir A, Einarsson S, Krutmann J. Bioactive molecules from the Blue Lagoon: in vitro and in vivo assessment of silica mud and microalgae extracts for their effects on skin barrier function and prevention of skin ageing. Exp Dermatol. 2008 Sep;17(9):771-9. doi: 10.1111/j.1600-0625.2007.00693.x. Epub 2008 Feb 28. Want more inspiration? 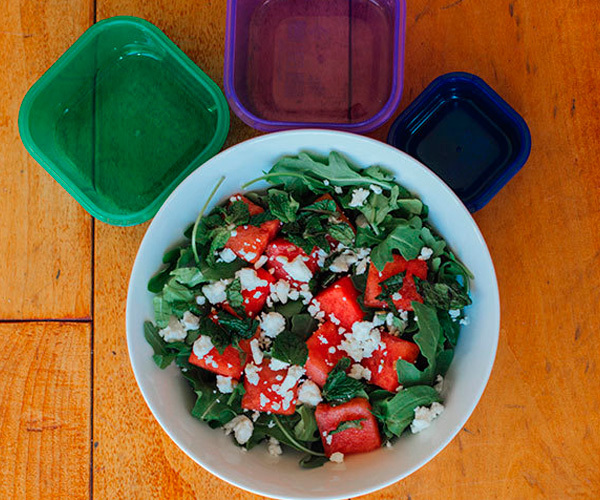 Almost every week, Beachbody Social Media Specialist Amanda Meixner shares her meal planning photos with us. Check them out here!